One of the world's first 'bionic' devices to produce functional hand and arm movement through electrical stimulation is being fitted to the arm of a stroke patient at the University of Southampton on Friday 13 May. Similar devices have been implanted in patients' arms or shoulders in the US, Canada and Japan, but this is the first time that the operation has taken place in the UK to achieve a coordinated hand and arm movement. The fitting of the device is the latest stage in a long-term experimental research study by the University of Southampton in partnership with the Alfred Mann Foundation (AMF), a non-profit medical research organisation in the US. The study is exploring the feasibility of using radio frequency microstimulator (AMF RF microstimulator) electrical stimulation devices to improve motor recovery and re-learning of arm and hand function following stroke. The research is based on the AMF RF microstimulators that are implanted into a patient's arm and act like 'bionic neurons' mimicking the messages from the brain to hopefully recreate useful function in paralysed or weak arms. The pioneering system is designed to provide electrical stimulation to both control and re-educate weak or paralysed muscles to produce functional arm and hand movements in patients who have suffered damage to the central nervous system following a stroke. The devices are exclusively for clinical investigations. At the end of April, five AMF RF microstimulators were implanted close to the nerves supplying muscles in a female patient's arm under local anaesthetic at Southampton General Hospital. On 13 May, she will be fitted with a cuff which will send signals to the AMF RF microstimulators and the system will be programmed to produce functional patterns of movement. The first patient is a 46 year-old hairdresser who had a stroke nine years ago, followed by a further stroke in November 2002. The strokes have affected her left side, but have not affected her ability to walk. She has always been a keen netball player and her goal is to be able to play again. She therefore needs to be able to throw and catch a ball with both hands. The cylindrical microstimulators measure 1.7 centimetres long and 2.4 millimetres in diameter. They can be injected into the body through a small incision which should reduce the expense and risks of a surgical procedure. They are implanted next to a nerve or adjacent to a muscle at the motor point near to where the nerve attaches. Once implanted, the microstimulators receive power and stimulation commands via a link from a radio frequency coil fitted to the arm, which is in turn connected to a control unit. Both deep and superficial muscles can be individually activated allowing more selective control of movement, which is particularly useful in the forearm and hand. The patient should be able to extend her elbow and wrist and open her hand. By switching off the microstimulators implanted in the finger and thumb, she will be able to use her own remaining control of finger and thumb flexion to grasp an object, while continuing stimulation to the wrist extensors will maintain a functional hand position for grasping. 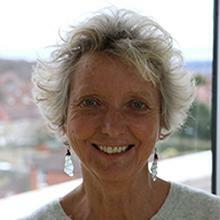 The University of Southampton project is led by Dr Jane Burridge, Senior Lecturer in Neurorehabilitation in the University's School of Health Professions and Rehabilitation Sciences. The University is becoming a centre of excellence in the study of movement disorders, with a multidisciplinary team of therapists, doctors, neuroscientists and engineers involved in this project. Dr Burridge explains: "Following a stroke, between 30 per cent and almost 66 per cent of patients have problems regaining upper limb function. Many therapeutic approaches to recovery are available, though controversy exists about their effectiveness. However, until now electronic stimulation devices have not been well accepted, mainly because with surface systems people have difficulty putting the electrodes in the correct place to achieve a useful movement and implanted systems have involved major surgery. "This study aims to address both these issues. Because the system is implanted, electrodes do not need to be placed on the skin and because individual muscles are activated, a more functional, natural movement is possible. The implantable microstimulator can remain implanted even if no longer needed and the system is designed to facilitate recovery by supporting voluntary movement rather than replacing it. It is also less invasive than previous generations of neural implants and because the electrodes are so small they can be implanted into many different muscles, providing the potential to create the fine, graded movement essential for hand and arm function." Six participants will be recruited to the study. To take part they must be over 18 and have had a stroke at least three months prior to recruitment with some impaired arm and hand control. However they also need to have some activity in their finger flexors to allow the possibility of a functional grip, to have sufficient elbow flexion to bring their hand to their mouth, and to have some shoulder control in order to direct the movement of the arm. The next phase of the study will involve the patient varying the amount of time the muscles are stimulated and using the system at home. Research into the development of the system will continue with the patient over the next few months. This will involve extensive measurements of movements, forces generated by stimulation, the effect of the activity on the muscles and the ability to control movement. Researchers will also be looking at whether using the system improves everyday hand and arm skills. At the end of this small study, if the system works and there is sufficient evidence for its effectiveness in improving arm and hand function, a clinical trial will be designed and carried out. There will be an opportunity to see the AMF RF microstimulator device in action and to interview and photograph both the researchers and the patient on Friday 13 May between 1.00pm and 1.30pm at Southampton General Hospital. If you would like to attend, please contact Sue Wilson in Media Relations on 023 8059 5457.